I recently found out my Great Auntie used to sew stoma bags over 80 years ago, I bet while she was sat at her machine she would never of thought her future Great Niece would indeed be wearing one... and here I am, I’m Andrea, I have a stoma & well, I’m proud, I’m an ostomate. 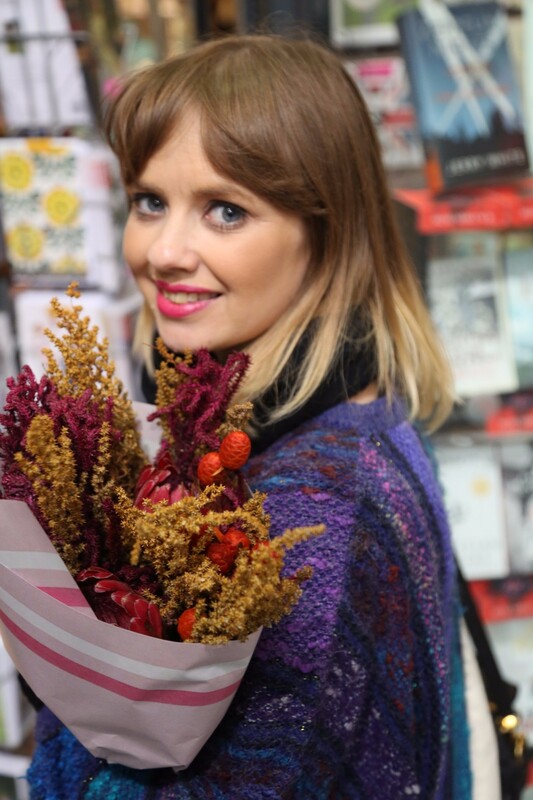 At the end of 2016 I was diagnosed with stage two bowel cancer and was already suffering from Ulcerative Colitis. Cancer, well that was a bomb shell, and you could say the day I was told was the day my life changed. After a long hospital stay I met with my surgeon at St Marks Hospital in North London (a specialist hospital for all things bottoms & bowels!). I was told I needed major surgery to remove the rather large tumour and also my large colon, which would result in me wearing a stoma bag. In the weeks before my surgery I met with my Stoma Nurse on a number of occasions, Stoma Nurses are amazing people, mine, a lovely, funny yet straight to the point lady. She explained how life would be with a stoma in great detail, she gave me my “Bible” to living life with a stoma, as well as a fake ‘stick on’ stoma and bag to feel what it would be like to wear one. After months of having a stoma I now know it doesn’t stop you from living your life, you can still go out, still exercise, still work, still be you, but now with your very own designer bag. Just over a week before my surgery I was measured for my stoma. I was told to wear my favourite jeans, was moved in various ways, I had to cough, lie, sit, slump, stand, twist, and then my tummy was marked. This was all to position my stoma so it didn’t sit in a crease or where my clothes would sit. So over Christmas 2016 I had a face drawn on my tummy. Despite my smiles and positivity I was petrified, I mean I was having my insides on my outside, I was having major surgery, I’d see it, have to clean it, see poop and change the bag. Could I handle that? My body would change forever with a bag, poop and scars. Would people know I had it, would they judge or laugh at me? Would my boyfriend go off me? These thoughts constantly swirled in my brain. I had no choice, I was having a stoma whether I liked it or not, it would essentially save my life. January 2017 on a cold dark morning I had laparoscopic surgery, a “Subtotal Colectomy with End Ileostomy” to be precise! The day after, my stoma nurse came to check on me and asked if I wanted to see my new stoma. To be honest I had forgotten it was there, I cockily said yes, sure, I saw a red thing sticking out my tummy, yeah that’s cool, I’m ok with that, but I was high on drugs. The next week was hard I was moved from intensive care to a ward. I was tired, sickly, in pain, and covered in tubes, wires and staples. I felt like a living Halloween costume. During this time, my stoma nurse taught me how to change the bag, clean my stoma, cut the bag to fit. Note my poop was green, enough to make anyone pull a funny face - my Stoma Nurse chuckled at me. I would shake and sweat when dealing with my stoma, my little alien. In just over a week I changed my bag myself, alone. High five me, I did it, I felt accomplished and I was proud. I wasn’t discharged until I felt confident to deal with my stoma alone and when ready was sent home with supplies. Being at home even with my mum for support was still hard, what if I did something wrong, what if I have more pain, what if it leaks, what if it stops working? The hospital - my safety blanket - had been taken away. I had to deal with my stoma, a “him”, my Dad named him Winnie, as in Winnie the Pooh. I would psyche myself up to change my bag; it took a while to do. I’d hug my mum afterwards, but I could do it! This is now a quick routine, I change my bag every other day and it takes about 10 minutes. Despite my smiles and positivity I was petrified, I mean I was having my insides on my outside. Living with a stoma is all about trial and error; you learn foods that will cause a balloon bag, a leak. You have no control when the stoma poops, it poops when it wants to, when it likes, you don’t always feel it doing its thing! Tomato soup freaked me out the first time I had it, my poop was red, I panicked, was I bleeding internally, oh no, it’s the soup. Without your large colon foods aren’t processed as well, it may come out the same colour it went in, you also must be careful in what you eat or you may cause a blockage. This is when certain foods build up and can’t be moved, it can result in a hospital stay. So yes I am strict with my diet, chew, chew, chew, no skins, no nuts and no popcorn. I have to drink a lot more so not to become dehydrated, you lose more salts than the average person, so isotonic drinks and squash are great, water is of course good but if you drink too much, you poop becomes pure liquid. Even fruit juices or tea will, within 15 minutes will fill up my bag. The first few months my style changed, I lived in PJ’s and joggers. My old jeans didn’t fit as well. You need to be careful it doesn’t squish your stoma or bag. You don’t want a leak while walking down a street. I have had to buy more clothes to fit me now. Yup I’m all about the elastic waist or dresses for ease and comfort. Top tip: maternity jeans are fab for us girlie ostomates, supportive, most are on trend and comfy! There are a few companies who sell underwear and supportive wear specifically designed for people with ostomy bags. They may look like fancy Granny pants but they are a dream to wear. 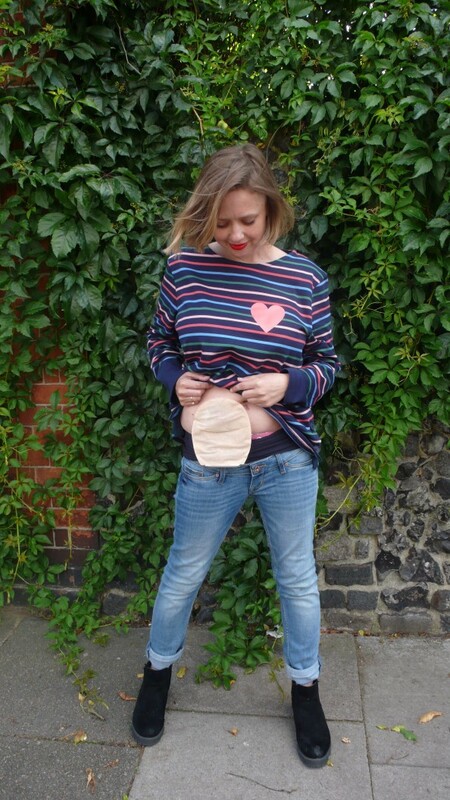 There’s still a strange stigma about ostomy bags, I remember just before I was diagnosed some colleagues at work made a joke about people wearing ostomy bags. People don’t understand; bags, poop, bottoms, toilets are funny to many. But, to us ostomates it’s a life changer, a life saver. After months of having a stoma I now know it doesn’t stop you from living your life, you can still go out, still exercise, still work, still be you, but now with your very own designer bag. Yes it can be tough at times; you hear the crinkle of the bag and sigh. But you know the mind and the body is a wonderful thing, you learn to adapt, to cope, be happy and to carry on. It’s much better to have a stoma than to be poorly, or worse, not here! 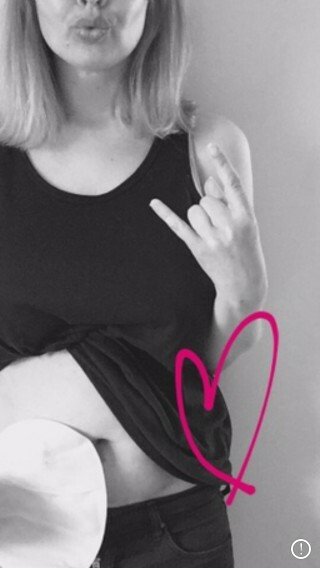 You’re still you even though you poop out of your tummy; you’re now a proud ostomate.